The team seems to have not yet turned 2018, club in serious financial crisis Team without tactical standard and with difficulty in finding a connection. This is the face of Youth that was beaten without major difficulties by Grêmio on Monday and returns to the field to try to earn 3 more points in front of their fans who are still disappointed and impatient with the team. 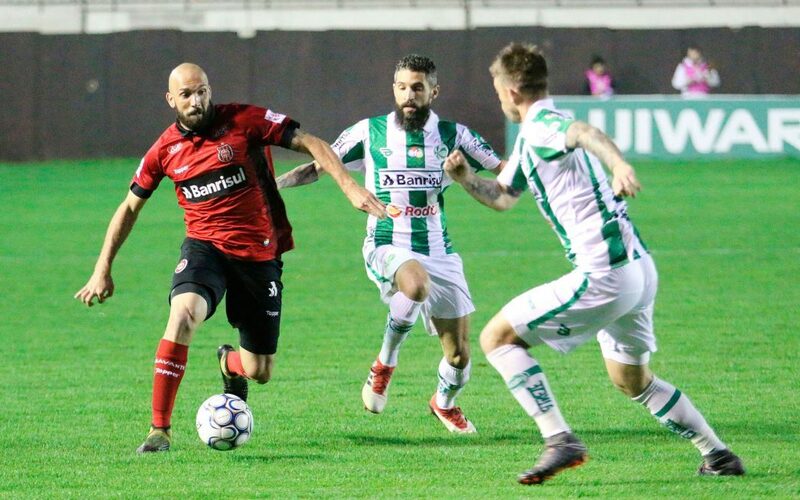 Despite the victory against Pelotas in the opening the team still can not show a good consistency, against São José, opponent of the same step, the team was dominated without major difficulties. Luis Carlos Winck breaks his head and must move the team again by altering the team’s tactical design. Brazil of Pelotas: The team lives a terrible start to the year and the warning signal is linked to the Xavante. Lantern of the competition with 2 earned points, knows that a victory takes the team out of this condition by placing it higher up on the table in the ranking zone. Paulo Roberto Santos suffers from the team recently assembled, especially with regard to the new pieces that arrived at Bento Freitas that still adapt to the club and the philosophy of the coach that adopts a very strong defensive style, needing good and fast players from the front. The team must win because in the next round faces Inter in Porto Alegre and reversing the situation at that moment is not so difficult as the difference between the teams is still small. An interesting duel in the closing of the round that can bring more importance depending on the results of that Wednesday, the game really is balanced, but I see value in the Brazilian DNB of Pelotas who must come to win the match and start a run in the competition, because the cast is better than his opponent and does not live a deep crisis like the Caxias team.